Everspin announced its financial results for Q2 2017. Revenues for the quarter reached $8.9 million (up from $6.7 million in Q2 2016) and the net loss reached $5.2 million (down slightly from $5.4 million in Q2 2016). This was a record quarter for Everspin in terms of revenues, which shows the continued growth of its first-gen toggle MRAM. 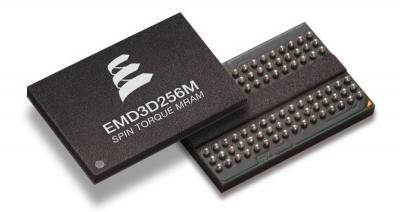 Everspin is now focused on bringing its STT-MRAM to market, and the company announced that its 256Mb STT-MRAM chips entered production to be used in SMART Modular's NVM Express PCIe Card.